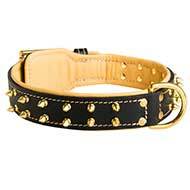 Need something special for your beloved pet? 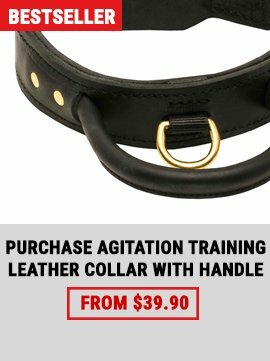 Let us turn your attention to this Elegant Leather Dog Collar, which is made to turn your pet into a fabulous looking canine! 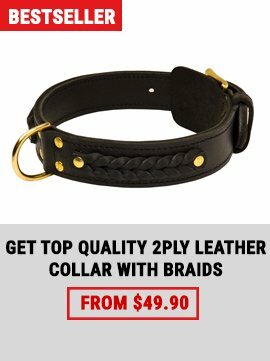 Every dog owner wants only the best for his dog. Our aim is to help to take care of your dog. We are producing high quality and at the same time affordable for every budget and pocket products. We assure you, that you have never seen anything like this before! 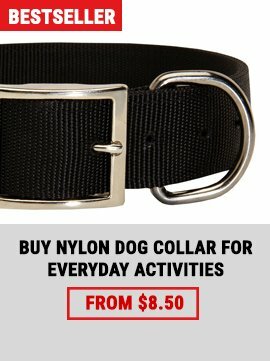 We present you our brand new dog product - Royal Nappa Padded Collar, which is made by our professionals according to the world standards.